A wide Range of Custom Stamps for every stamping requirement. This Impressor Self Inking Stamp is the largest self inking stamp available. Capable of an impressive 105mm x 75mm it is an ideal size for large grids stamps. Also excellent for marking a logo on your packaging boxes, paper bags and more. The pre Inked stamp will last for over 10,000 impressions before re inking is required making and offers print like impression quality. As the impressor has no moving parts it is durable as well as practical. Perfect for use with clay and can also be used for pressing into soap, dough and much more. Bold text and Images work best. Pin point Engraved Acrylic mounted on an an oak base. Perfect for use with clay and can also be used pressing into soap, dough and much more. This Clay Stamp is Completely Custom hand made with your own design. Please note this can not be used as a rubber stamp it will not pick up ink, Please go to our similar listing for Custom Rubber Stamps to use with ink pads. Hand Made, professionally finished Soap, Clay, Dough and more stamp. This stamp is engraved onto clean hard 8mm Acrylic , (food safe) we are able to pick up tiny and accurate details just like our custom rubber stamps. It is then mounted onto a reclaimed wooden handle for ease of use. Ideal for long Logos or Text. Engraved on finely detailed Durabable acrylic and mounted wooden handle mount. Pin point Engraved Acrylic mounted on a wooden handle. Perfect for use with clay and can also be used pressing into soap, dough and much more. Completely Custom made with your own design. Please note this can not be used as a rubber stamp it will not pick up ink, Please go to our similar listing for Custom Rubber Stamps to use with ink pads. This amazing personalised Cloth Marking Rubber Stamp can hold an Impression size of 38mm x 14mm. Can be customised to your requirements. At 38mm x 14mm it is the perfect size for a cloth marking stamp. 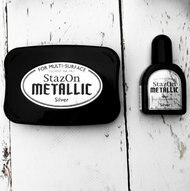 Comes with a black Cloth making ink pad. Ready to use as soon as it arrives. Please always wash brand new clothes / fabric before using this stamp. A large 50mm diameter self inking stamp. Great for when you need your impression or logo to stand out. Here at stampit we use the very best engraving technology to ensure a perfect impression every time. A 42mm diameter self inking stamp this is our best selling logo stamp. It is the ideal size to comfortably fit a logo and if required additional text surrounding the logo. We are official trodat Partners and can offer the very price on self inking stamps. If you find it cheaper we will refund the difference plus 10%. A 30mm diameter Self Inking stamp is a Ideal for official stamps for for offices, authorities, city halls or universities. Makes a perfect logo stamp with options of adding your company number and logo. All our self inking stamps are made direct from us and we ship them same day, when orders are placed before 11am. This compact 20mm diameter Self Inking stamp is one of our best selling sizes. It is usually used for simple small logos or as a checker stamp. Using our easy stamp maker software it is easy to create this stamp, click the customise now button. This Compact 10mm diameter Self Inking stamp is a popular choice for small impressions. Commonly used as Reward or Loyalty Stamp. Our stamps are almost in thousands of coffee shops and most places that use a loyalty reward program. 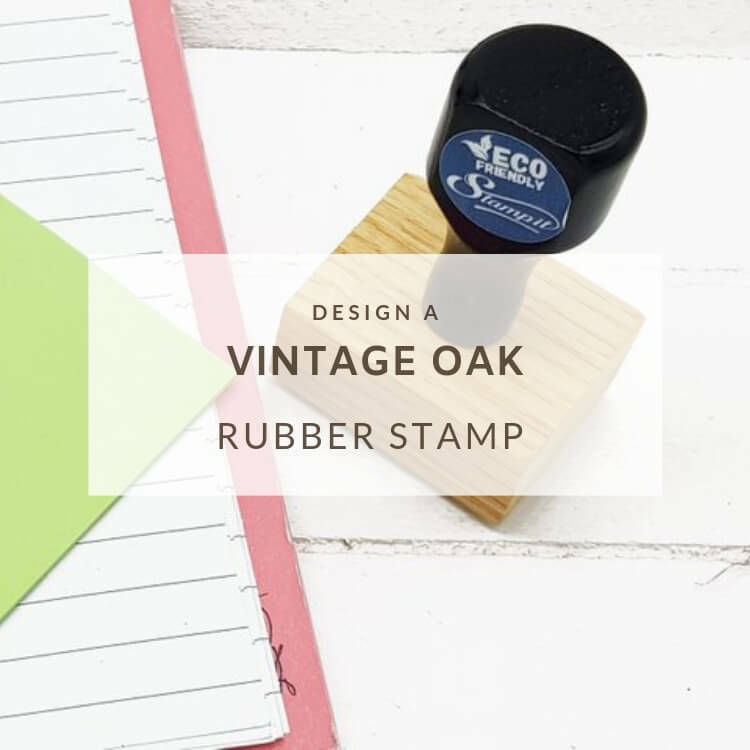 A large Self Inking Stamp ideal for longer impressions, This rubber stamps makes a perfect address stamp and ideal for longer logos with room for plenty of text. These Trodat Self inking stamps have unbeatable quality compared to other makes and offer a perfect impression every time. No mess, no fuss just press down and make your impression. Self Inking stamps have a built in ink pad so need to purchase anything else. When the ink runs out simply purchase a new ink pad and continue stamping. This Trodat Self inking stamp made from 92% recycled plastic is an ideal if you require 1-4 long lines of text of have a logo or artwork that fits this impression size. Trodat stamps are built to last as they are the market leader of Self inking stamps, with our Trodat stamps you can be assured of a perfect quality impression every time. Why buy from us: We don't use industry standard technology to make the moulds for our stamps, using the very best and latest engraving technology we can ensure that your impression is picture perfect. A Large long Self Inking Stamp that makes an ideal filing stamp to effectively mark paperwork and more. We offer a same day dispatch on all our Self Inking & Rubber Stamps with fast first class post as standard. One of most Popular self inking stamps. The large impression area means you can add a complex logo or image try our simple to use stamp maker to to customise your stamp to your own requirements. We will also ship you stamp same day if ordered before 11am via 1st class post. 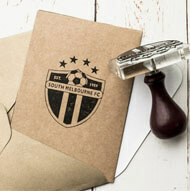 A perfect all round stamp for a variety or requirements and probably our best selling self ink stamp. Due to advanced manufacturing this lightweight stamp is made from 97% recycled plastic, this combined with our expert engraving techniques means a perfect stamp impression every time. At 50mm x 30mm this is a great mid size self ink stamp is a perfect all round stamp for a variety or requirements. Very popular as an address stamp , business logo stamp and for stamping Kraft Tags. Due to advanced manufacturing this lightweight stamp is made from 97% recycled plastic, this combined with our expert engraving techniques means a perfect stamp impression every time. Customise This Stamp Any Way You Like Buy choosing your own font from ot vast Font selection. Makes a perfect and unique statement for it is for business, personal correspondences and weddings. A very small and easy to carry around self inking stamp. Mostly used as a small signature or name stamp. Ideal for marking packages also. An ideal meduim size that can comfortanly hold up to 5 lines of text. Large enouth to combine a logo and text at the same time or more comlex and detaited artwrorks. Commonly used as an address stamp. Ink Pad Colours: Black, Blue, Red, Green or Violet. Due to advanced Trodat manufacturing this lightweight stamp is made from 97% recycled plastic, this combined with our expert engraving techniques and machinery means a perfect stamp impression every time. 38mm x 14mm making a small but clear impression. Checking the size to scale is easy on our website our advanced stamp designer enables you to download the design you create and view it on a true to scale pdf preview...Try it now. Ideal for 2 lines of text or a small simple logo. This is a compact stamp that is perfetc for a name and telephone number or social media tag. This stamp is also very popular as a small signature stamp. Please Always Check Sizes For Suitability using our advanced stamp designer you can see in real time what your stamp design is by clicking on the proof button at any time. Trodat Printy 4933 is a 25mm sqaure self Inking stamp. This makes the compact stamp capable of 5 lines of short text. It can also include a simple logo or design.